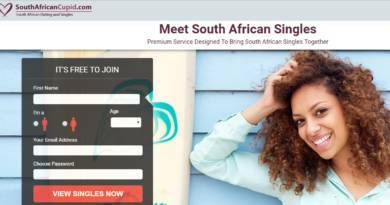 We have provided many information on messenger applications on How to Chat Online. We will go on to provide detailed information on famous applications of Android and iOS on here. Messenger notifications can be a serious problem for you if you are at work, at a meeting or at school. 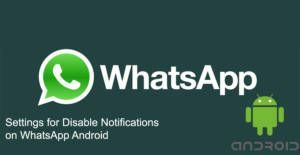 We will tell you the short way to disable notifications of WhatsApp on this page. We will give information for other messenger at incoming days. 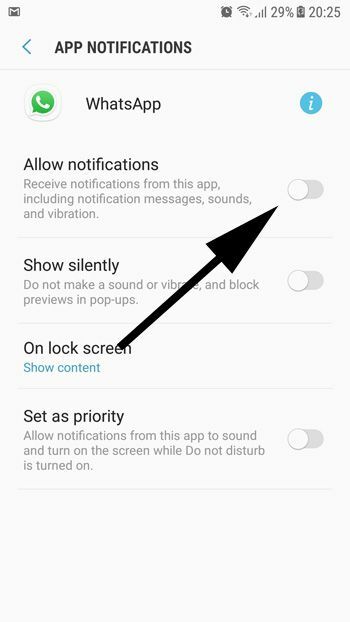 Let us tell you how to disable these notifications on Android devices. You will find settings for that at the paragraph below. 3-) If there is something like Application Manager on your device. If there is not, please ignore this step and go to Step 4. 6-) Disable “Allow Notifications” section. When you disable notifications, you will stop to get notifications from WhatsApp at all. If you need silence on your phone, you will need this option. However when you disable this, you will not receive any notifying message from the application. Especially if you are using WhatsApp for business talks, it is not recommended to disable this option. Otherwise you are not going to figure out you have received messages and you will answer your business partner too late. You can use similar option for singular contacts. You can mute some WhatsApp chats from profile of people. Disabling all notifications for single (or a few) contact won’t make any sense.